Bored with sleeping soundly? Fed up of sweet dreams? Well – this is the book for you! 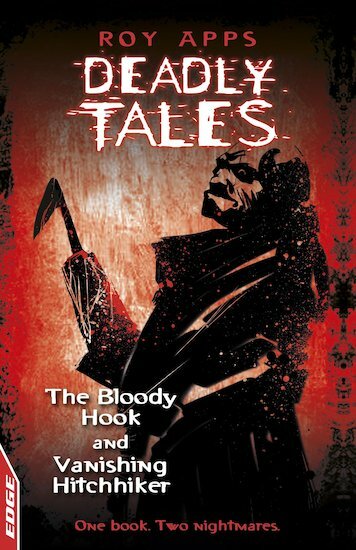 Two nightmare urban legends that you’ll pray aren’t true… Can Keisha and Leon drive for their lives to escape a hate-fuelled gang led by the hook-handed Butcher? And why is the hitchhiker that Lewis picked up walking alone in the rain? Is he about to find out? These addictive stories for reluctant readers mix up a winning fusion of fear and suspense, using accessible text, exciting graphic illustrations and contemporary settings. Which one will you dare to read first?